Too Many Tomatoes? Just Freeze ‘em! Having a lot of tomatoes is a good thing, but they can sure stack up fast. My favorite way to preserve them is to can them, but there are times when getting them canned just doesn’t happen in a timely manner. For those times, I’ve found a super simple solution to getting them done and staying ahead of the game. Just freeze ’em! 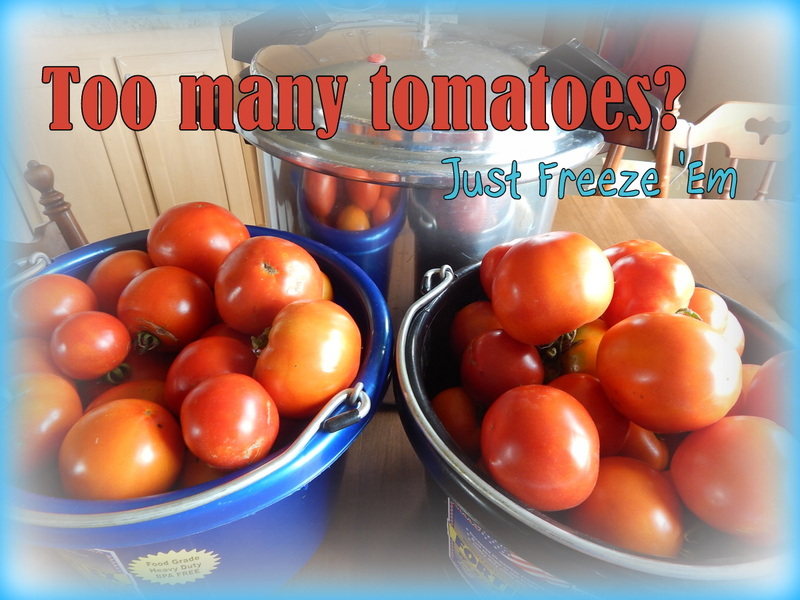 This entry was posted in In the Kitchen and tagged how to freeze tomatoes, preserving tomatoes, quick and easy way to preserve tomatoes on August 21, 2014 by humblelittlehomestead.